Toxy.de Main page » Components, spares & accessories » Chain drive » Crank set 60 t.
Chain SRAM, 9-speed, per piece (116 links) incl. connectors - 2 chains will do forZR, 3 for Toxy and many other recumbents. Exceptional. Outstanding. Marathon GT365 (40-406) FourSeason. Weight: 580 g (20 oz); max pressure: 6bar/85psi. “FourSeason” compound provide full grip, no matter what time of the year you ride your bike. Of course fitted with DualGuard puncture protection technology for maximum safety. Alloy CNC air shock, 180gr. 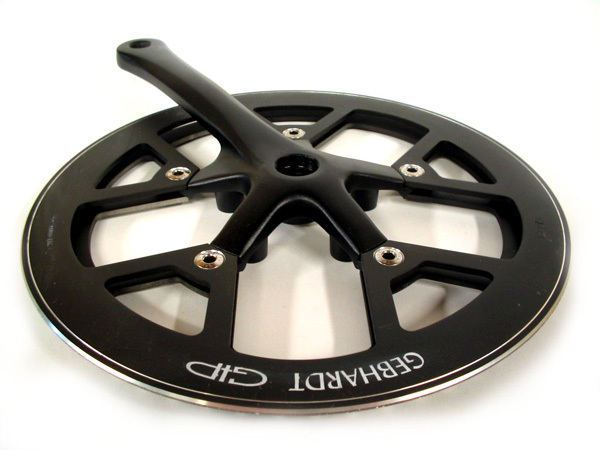 only, maintenance-free & adjustable; 150mm (travel 30mm) - the easiest & cheapest weight killer.